The singer almost stole the show from the junior contestants in the recent episode of the dance competition series that is currently on its third season, thanks to her bright-colored, figure-hugging outfit. 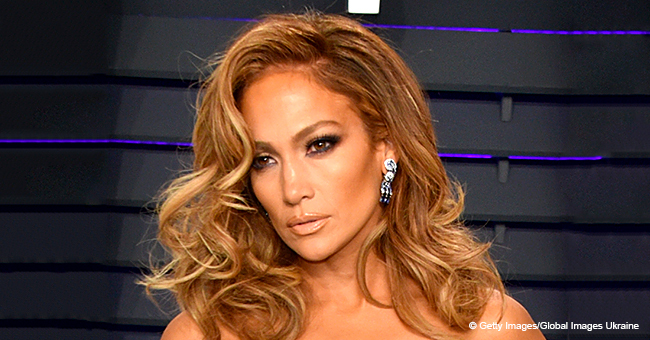 49-year-old Jennifer Lopez keeps a busy professional schedule that has been overshadowed by her personal life, mostly making headlines because of her upcoming wedding to her boyfriend of more than two years, Alex Rodriguez. 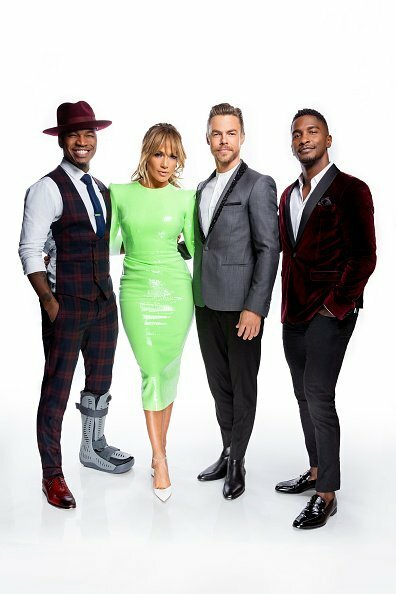 But the “Dinero” singer has returned to the “World of Dance” panel of judges for the first two episodes of the current season, and for the March 24 episode, she gave us all a taste of her daring looks, appearing in a bright green latex sequined dress. Jennifer Lopez. I Image: Getty Images. Lopez has proved that she is comfortable with the attention and taking fashion risks, and she joined the neon trend when choosing an Alex Perry with long sleeves and shoulder pads that had an eighties vibe to it. Ahead of the airing of the episode, Lopez and her “World of Dance” partners, judges Ne-Yo and Derek Hough and host Scott Evans, posed in promotional pictures that showed her dress in its entirety. Wearing her hair up with heavy bangs and impeccable makeup, it is hard to believe that the mother-of-two’s actual age. Lopez and her "World of Dance" co-stars. I Image: Getty Images. But even someone as youthful as she is was impressed by the energy the Junior Team Division put into each of their performances, and she made sure to express it accordingly. “First of all, let me just say the Juniors are more savage than the adults!” the star said with much excitement to the different teams, and both her co-judges and the audience seemed to agree with her. While Lopez was supportive and affectionate with all of the competing teams, we can tell that she felt something special for the “Crazy 8’s” after their finished their dance to “Peanut Butter Jelly” by Galantis. She was visibly captivated by the group’s remarkable performance and praised them for the power they show onstage despite being such tiny girls, and then she starred in a heart-melting moment with one of the dancers. A member of the team, named Naia, has selective mutism, as we learned from a co-dancer that took the microphone to tell Lopez about her, telling the star that she wanted to say hi to her. “This moment was everything,” Lopez captioned a clip of the loving exchange she had with the young girl. “You want to say hi? Yes, please!” You don’t have to be afraid of me. Can I hold you? Can I pick you up? Thank you for saying hi to me. I really appreciate your courage and your bravery,” a teary-eyed Lopez said. “I’m so proud of you right now… I’m gonna cry! Thank you very much,” the also actress added. Lopez is currently working on a film titled “Hustlers” to be released in 2020, on which she plays the role of a stripper. Needlessly to say, both her fans and the media can’t wait to learn every detail of the upcoming film, and now the first images of the actress in character have surfaced. Paparazzi captured Lopez as she walked in the streets of New York City as some scenes of the movie were shot. She was wearing tight high-waisted blue jeans, a black shirt with the word “Juicy” written on it, and a faux fur jacket. Previously, Lopez was seen in an Instagram video taking pole dancing lessons with an instructor, and there is no doubt that she was made for this role. We have Rodriguez to thank for the sneak peek he posted to his Instagram stories, which was fortunately saved and shared by Lopez’s fans for the world to enjoy. Weeks after Lopez and Rodriguez got engaged, the first ideas the couple has been considering for their wedding have surfaced thanks to a source that talked to Closer Weekly about it. “She’s decided this should be the most star-studded, opulent ceremony that will go down in history as the most lavish celebrity wedding of all time,” the insider shared. “She’s aware it’ll be a fine line between classy and over-the-top so she’s working with a team of high-end planners and lifestyle experts to weigh up options,” the person added.